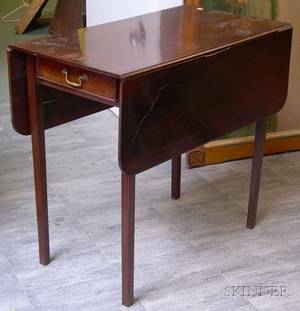 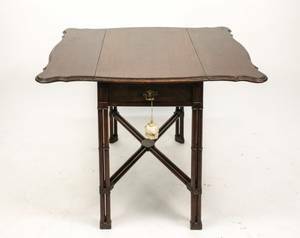 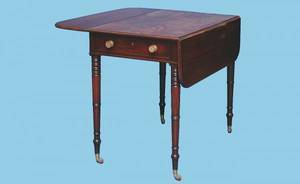 English Mahogany Drop-leaf Pembroke Table with End Drawer. 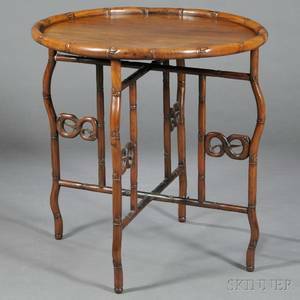 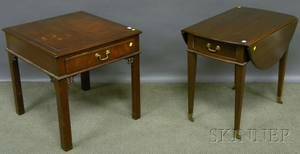 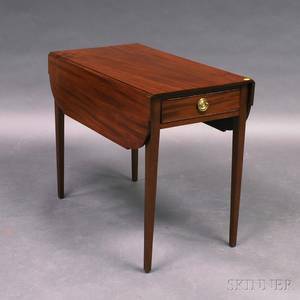 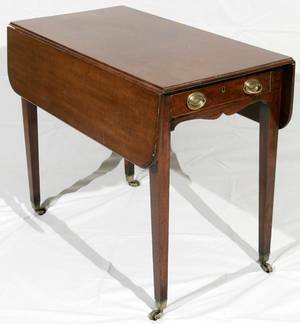 Kittinger Richmond Hill Chippendale-style Mahogany End Table and a Federal-style Mahogany Drop-leaf Pembroke Table. 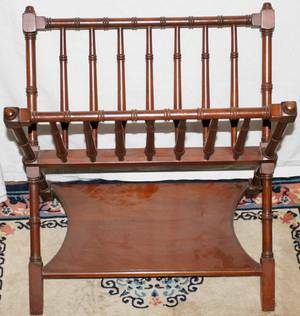 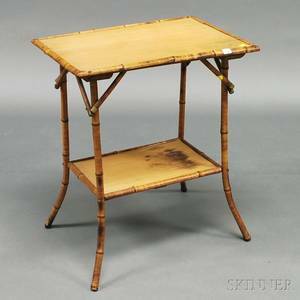 052547: MAHOGANY FAUX BAMBOO MAGAZINE RACK, H 20"